American flag brought to you by one of america's leading manufacturers, Toland Enterprises. Made of permanantly dyed polyester, Toland had the first permanantly dyed USA flag on the market. You can expect the same high quality in our USA flag as in all Toland flags. 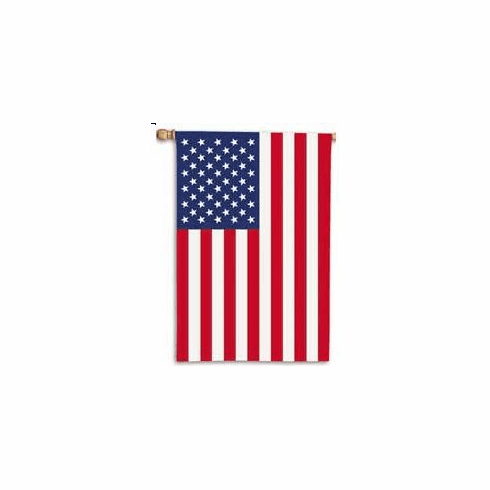 If you are interested in replacing a worn flag, please note that there are proper disposal procedures (outlayed in United States Code, Chapter 10, Title 36, Section 176K) Toland and HomeandGardenArt.com will provide a $2 credit for any flags in need of being retired. Please see info section for our address to return the flags. We will credit your account upon receipt of the flag.